Dr. Christina Ferraro is a specialist in radiology from Phoenix, Arizona. She took her diploma from Creighton University School of Medicine. She did two residency programs, one in radiology and one in general surgery. 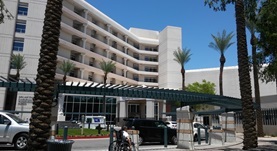 The first one was done at St. Joseph’s Hospital and Medical Center and the second one at Maricopa Medical Center. Dr. Christina Ferraro has a practical experience of more than 5 years. Dr. Christina Ferraro has contributed to 1 publications. Ferraro, C.,Richardson, R.; Pediatr Cardiol. 2012 Feb 22.